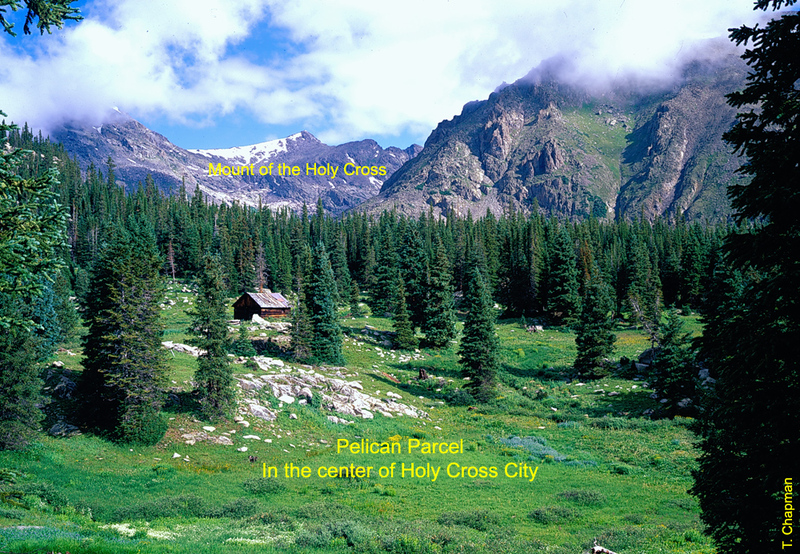 This five acre parcel, known as the Pelican Extension, is located in the center of the original townsite of Holy Cross City. 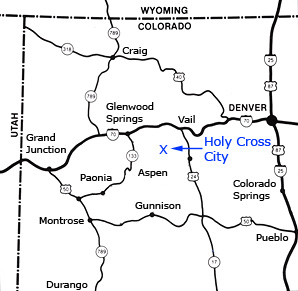 The 1880's historic townsite was cherry-stemmed into the Holy Cross Wilderness Area because it contained a number of parcels of private land. 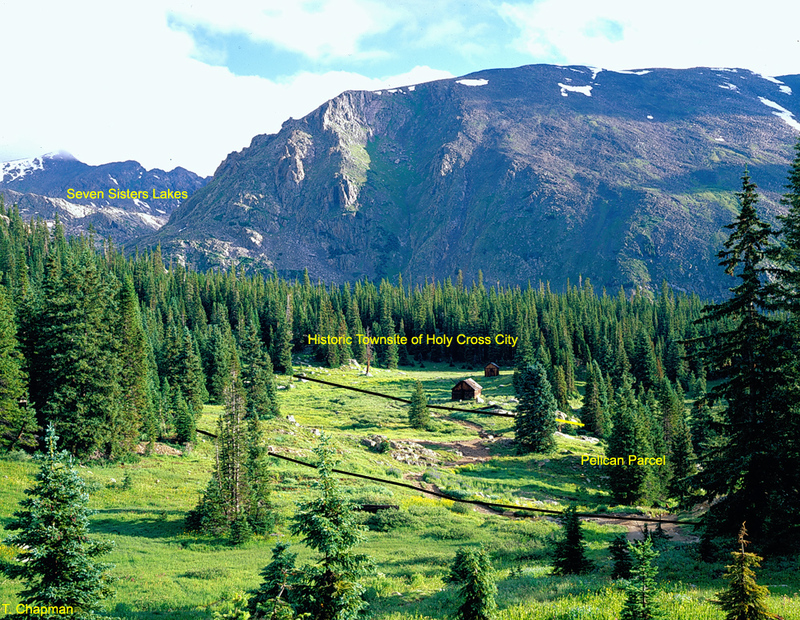 The townsite is managed as de facto wilderness. Note on this map that there are 12 nearby lakes that a person can walk to. 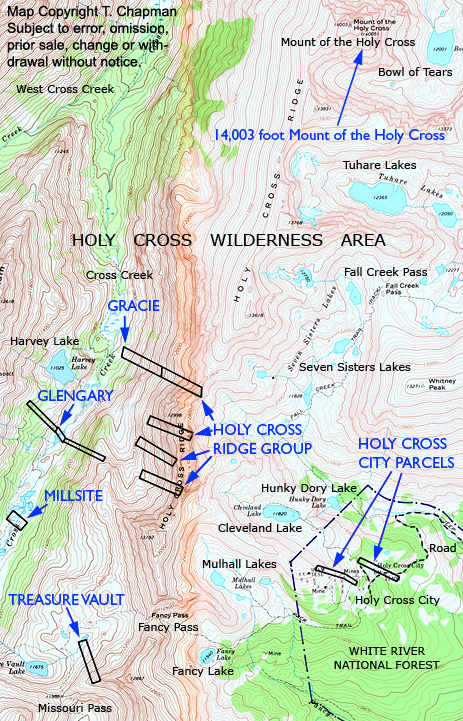 The lakes just to the north in the Fall Creek Pass region ,Seven Sisters Lakes, Tuhare Lakes, Bowl of Tears, are iconic to the Holy Cross Wilderness Area, also known as "Colorado's water wilderness". The second parcel in this group is called the Calumet with an access road. It's a wide, treeless, panoramic ridge overlooking the townsite with a view in all directions.